For the first time ever, Kia has been rated in the 2013 Top Ten nameplates for Initial Quality Study (IQS) by J. D. Power and Associates. The Kia Soul and Kia Sportage ranked as the leaders in the Compact Multi-Purpose Vehicle and Sub-Compact CUV segments for the United States. 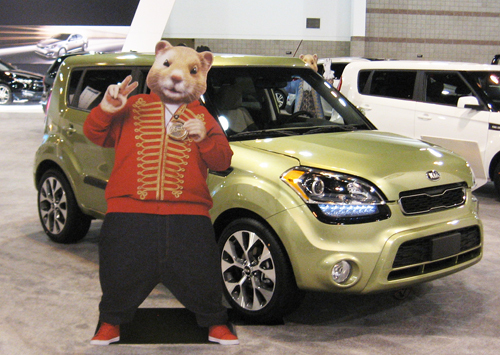 According to the IQS study, Kia showed significant improvements with gains outpacing the industry average and resulting in the brand’s best score ever. “Kia Motors is committed to building vehicles that are defined by award-winning design, fun-to-drive performance and world-class quality, and the Soul and Sportage epitomize these attributes,” said Byung Mo Ahn, group president and CEO, Kia Motors America (KMA) and Kia Motors Manufacturing Georgia (KMMG). J.D. Power’s annual report analyzed responses from 83,442 respondents on 230 vehicle models and aspects in eight categories, including the driving dynamics, engine, transmission and a broad range of quality problems and symptoms reported by owners. Kia surpassed the half-million mark in the US market just last year and reported the best April sales ever at nearly 50,000 vehicles, on May 1. The nameplate is one of only three in the US that have consistently increased sales for the last four years. Notably, the Kia Sorento and Optima GDI, in EX trims and assorted LX models only, and the GDI Turbo are built in the US from locally and globally sourced parts. Kia will launch seven all-new or significantly refreshed vehicles this calendar year, continuing the brand’s efforts to win market share by offering European-influenced styling with the latest technology and upscale amenities, while still maintaining affordable pricing.